Looking for an easy way to transport chili and cornbread in your lunch? 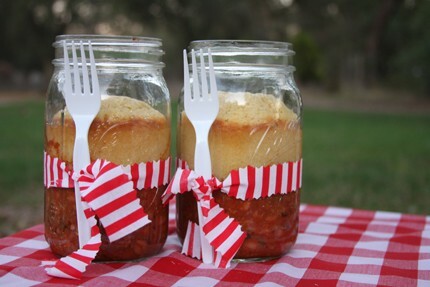 Check out this creative idea of Chili and Cornbread in a Jar from Givers Log. doesn’t really look like the bread comes out easily. Looks like a neat idea though. My guess is that you just break up the bread in the chili. Love it!! My husband does fundraising meals for his coworkers…railroad guys. This is perfect! I love this… I am always looking for meals like this! Thank you!